1) Tell us more about yourself? I write time travel and merfolk chic-lit, light SF and historical YA fiction. 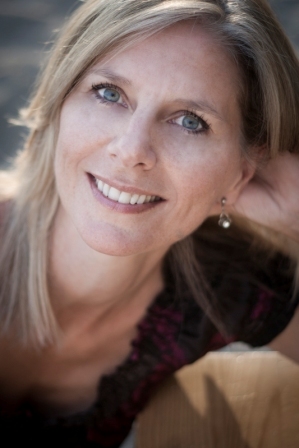 I’m a married mom of four, and live in the beautiful Okanagan Valley, famous for beaches and vineyards. I’m fond of Lindt’s sea salt dark chocolate and hiking in good weather. 2) What is your book about? 3) How did you get the idea? This is a harder question. Where do ideas come from? I wrote a time travel novel years ago, and though it wasn’t publishable, I did learn a lot from writing it. Some of those early ideas made it to CLOCKWISE. I was a pantser when I wrote CLOCKWISE. I think plotting a little would’ve helped. Writing time travel is tricky in that you need to have two separate story arcs, one in the past and one in the present, that overlap into an overall story arc. I’m working on a companion novel and I’m plotting more for that one. 5) Character driven or plot driven? 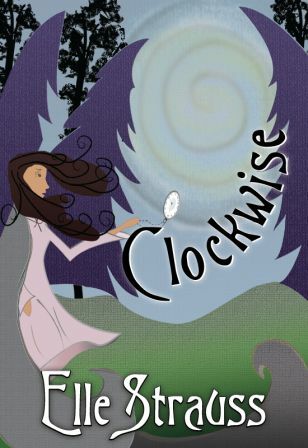 CLOCKWISE is character and plot driven. Casey, the main character has a definite character arc, as does her love interest Nate, but the plot keeps the pages turning! 6) Where can we find out more about you? I blog at www.ellestraussbooks.blogspot.com. You can find out all about my writing journey. There’s also a writing tips tab where I link to the writing posts I’ve done over the last couple years. 7) Where can we get your book? So glad you asked. The e-version is available at Amazon, B & N, and ibookstore. Also on Smashwords and Kobe. The print version will be available in November. Thanks for having me, Misha!